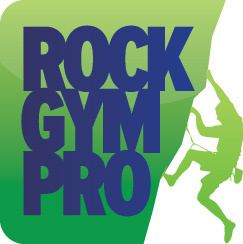 Rock Gym Pro’s charting system is a powerful tool for visualizing your data. The charting system allows you to create charts for a wide variety of data. On the left side of the screen you will see a list of the different data points you can analyze. A pie chart icon means there are subcategories making up this chart, allowing you to drill deeper into your data. For example, if you click the Clothing Sales chart you will then be able to see your overall clothing sales over your time period; you can also then just select one vendor or clothing type to see that specific data. In addition to the standard charts, you can create custom charts or charts displaying the ratio of two different measurements. Along the top of the screen you can change the time period of the chart, along with how the chart is visualized. In the center of the screen will be the chart itself. The charting system provides a number of options for modifying the presentation of the chart, in addition to giving you the ability to save the chart itself or download the raw data behind the chart to Excel.